Lion’s Choice, the roast beef sandwich shops that dot the St. Louis landscape, has returned to Kansas City. Lion’s Choice serves Italian beef, pulled pork, turkey and smoked ham in addition to roast beef. The new area location at 4049 Little Blue Parkway in Independence, Missouri, is open from 6 a.m. to 10 p.m. Monday through Friday, and 7 a.m. to 11 p.m. Saturday and Sunday. Breakfast is served daily until 10 a.m.
Just like when you were a kid and couldn’t wait to punch every dispenser on the soda fountain, Kansas City’s alcoholic makers are starting to have a little fun with what’s in your glass. Crane Brewing Co. (6515 Railroad St., Raytown, Missouri) and Aubrey Vineyards have made Crush, a beer-wine hybrid made with fresh-pressed grape juice. The brewery will have two versions — Chambourcin and Crimson Cabernet — along with meat boards available from 1 to 5 p.m. Saturday. Find out if coconut bacon is your thing at a Kind Food pop-up at Fetch (1101 Mulberry St.) from 11 a.m. to 3 p.m. Saturday. The cafe in the works will have two dishes available: a coconut bacon (crunchy bits of coconut spiced to mimic the sweetness and smoke of bacon), lettuce and tomato sandwich and a coconut curry over quinoa. Your body is probably going through pie withdrawal after the Thanksgiving holiday. Give your heart what it wants at Freshly Baked, a pie-centric fundraiser for the Open House art gallery from 5 to 8 p.m. Saturday at Howard’s Grocery (1708 Oak St.). Chefs from Novel, You Say Tomato, Room 39 and PT’s Coffee will be making pies for you to try. You need a ticket ($25) to scarf up some dessert samples. Add on drinks — $15 for three tickets that entitle you to Tom’s Town cocktails and Brewery Emperial beers. It’s beginning to look a lot like Christmas at Rockhill Grille (2000 Grand Blvd.). Miracle at Rockhill has transformed the second floor of the downtown restaurant into a wintery paradise with frosted windows, oversized ornaments hanging from the ceiling and Santa on everything. 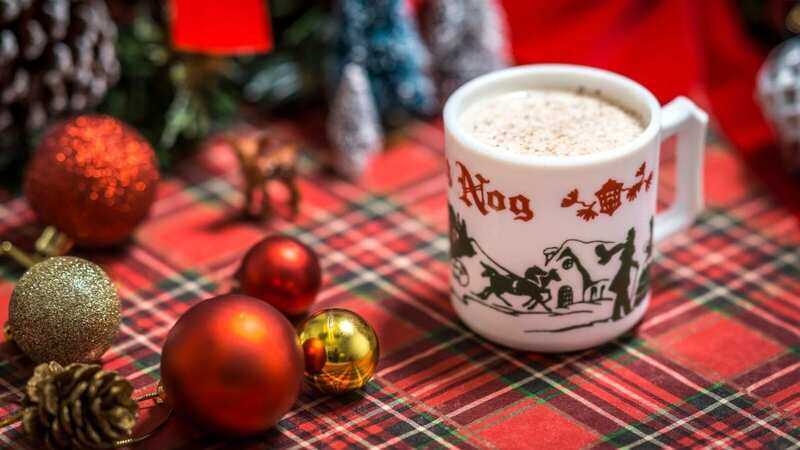 The Miracle menu, which is featured at more than 80 pop-up locations across the globe, has a Gingerbread Flip (bourbon with gingerbread syrup) and Jingle Nog (eggnog spiced with cognac, sherry, cinnamon and brown butter). The Home for the Holidays cocktail menu features J. Rieger & Co. spirits like the Gizmo (whiskey, fig, candy cane, pomegranate and cherry wood smoke). Miracle at Rockhill runs through Dec. 31 and is open from 5 p.m. to midnight daily. What do you feline doing in the next couple weeks? Whiskers Cat Cafe has opened at 3705 Southwest Trafficway. It’s the first of its kind in Kansas City. You enter through the coffee shop and the cats are in a separate, but attached space. You have to make a reservation (although they’ll post if there are open spots on social media) to hang out with the cats (right now, they’re booking in December). Whiskers has also partnered with KC Pet Project, so you can adopt a cat if you decide you want to have the play-with-it-at-home-version.